Ok so originally the Ice Queen of Kislev before her homelands were destroyed and she moved to Mantica. I really love this model. She isn't the fantastical animated glowing spikes messy elaborate giant of the new games workshop figures and I love her for it. 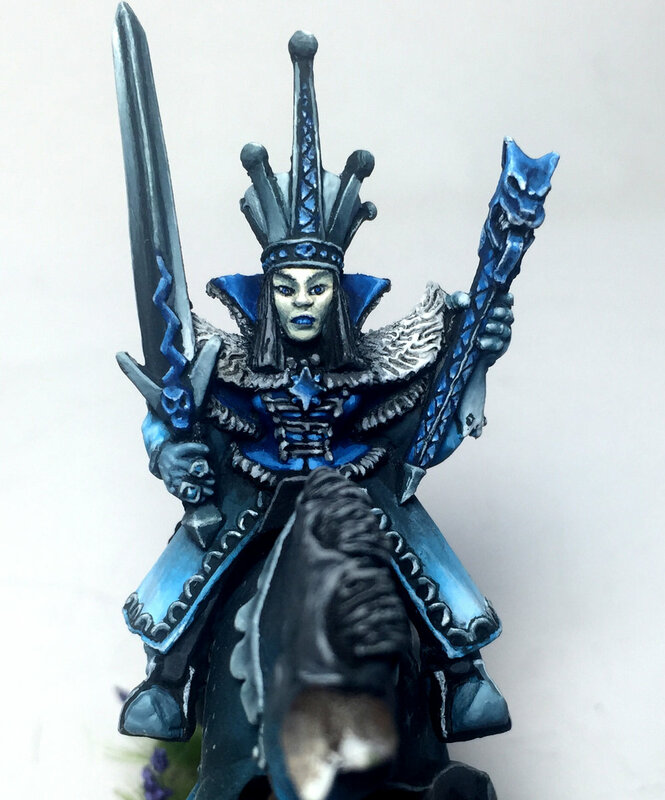 I went with a very monochromatic cold colour scheme for the ice Queen. 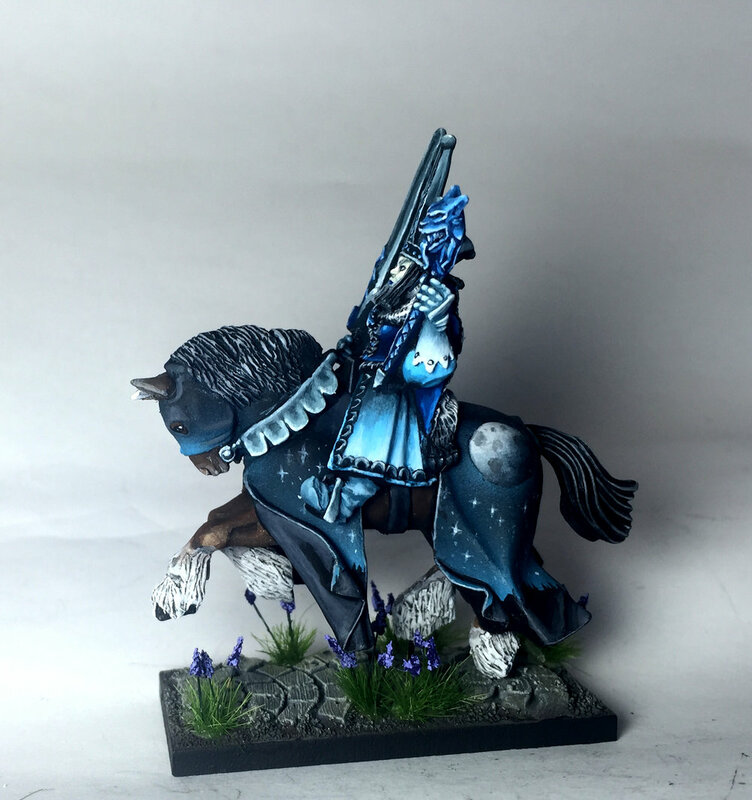 Only 4 colours in total are needed to paint her. Dark Sea Blue, Midnight Blue, Azure Blue Elfic Flesh. Also a mix of black and white. 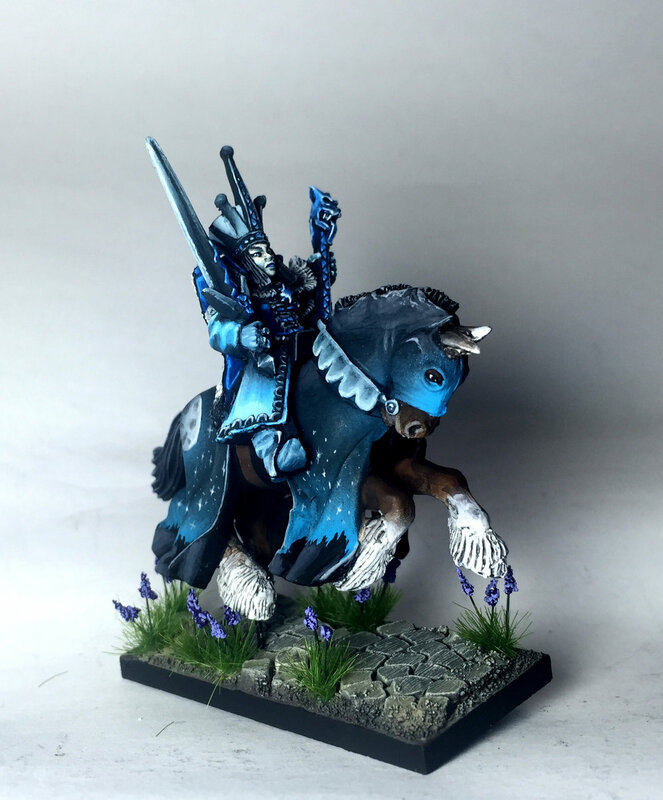 The horse weatherbeeta (I think that's what it's called) was my first attempt at free hand. From black I shaded the moon haphazardly with an airbrush, then masked it with a round piece of tape, shaded the sky, painted the mountain and trees, then dotted the stars. 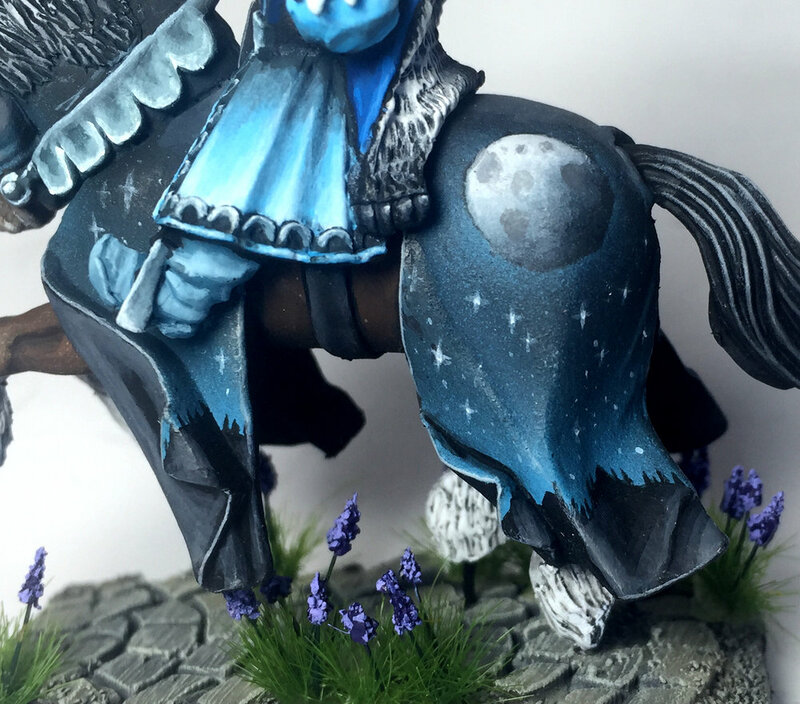 One thing to note, White is very hard to freehand with, the stars are light gray and just dotted white. Had a ball painting this witch. She has so much character! I'm pretty happy with the result and plan to take her along to the scale model show tomorrow for a bit of fun.